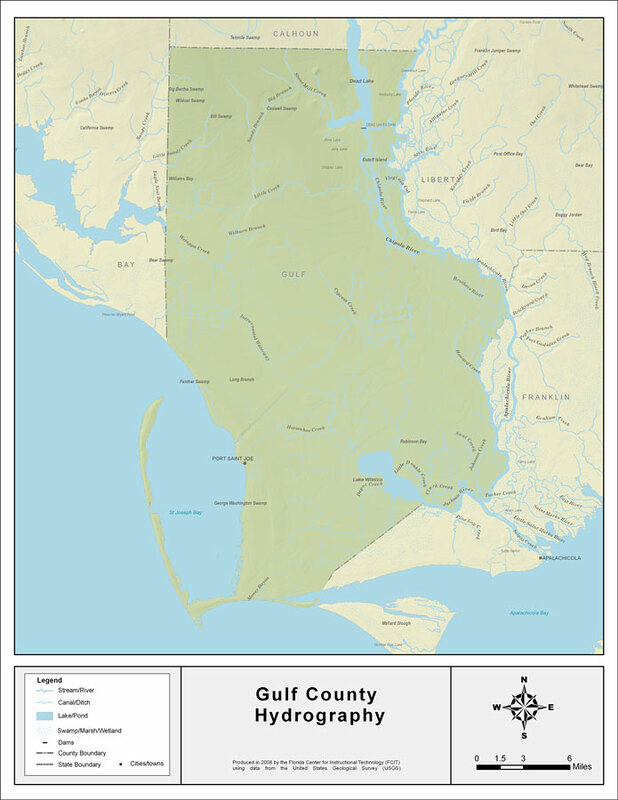 Description: This map was created by FCIT and shows the waterways of Gulf County. All major rivers, streams, creeks, lakes, and swamps are labeled. This map features Stone Mill Creek, Big Branch, Dead Lake, Guardhouse Branch, Sandy Branch, Little Sandy Creek, Wetappo Creek, Little Creek, Willburn Branch, Virginia Cut, Chipola River, the Apalachicola River, Joe Lamb Branch, Gude Branch, Intracoastal Waterway, Cypress Creek, Howard Creek, the Brothers River, Horseshoe Creek, the Jackson River, Lake Wimico, Little Double Creek, Clark Creek, Saul Creek, Catfish Slough, and Depot Creek.